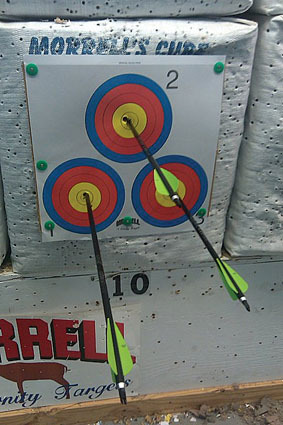 Sloppy scorekeeping and poor scheduling are two quick ways to sink an archery league and jeopardize customer relations. Like it or not, running smooth, well-organized archery leagues requires extensive bookkeeping and plenty of clock-watching. Not only must you record individual and team scores, averages and handicaps, you must get them right the first time you post them, and post them when people expect them. And if you run video-based leagues with assigned shooting times, you must keep the shooting schedule on track. If shooters too often find themselves waiting when they're supposed to be shooting, they'll find other ways to spend their evening. If you operate fun, well-organized archery leagues, your shooters are probably already delivering word-of-mouth endorsements, which is the most effective advertising campaign possible for promoting leagues. But don't put that entire responsibility on your customers. Post league info on your store's website, send fliers to customers on your mailing list, e-mail electronic fliers to customers in your e-mail directory, post fliers at conservation clubs and on public bulletin boards, and post sign-up sheets in your shop. What about radio, TV and newspaper advertising? Much depends on your market. 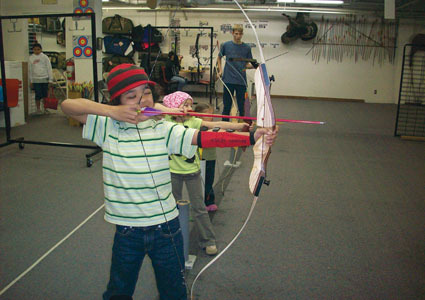 Jeff Mueller at Badgerland Archery in Portage, Wisconsin, said he had little response to ads in local newspapers. However, he generates a worthwhile response with ads in a statewide newspaper, the "Wisconsin Outdoor News." Sometimes, though, you must start at "Square 1" and make more people aware of your pro shop. Bill Pellegrino at the Archery Hut in Colorado Springs has had success with the old "sandwich board" ads people display on their front and back. "They're called 'waddlers,' and for $10 an hour and 15 hours a week I hire a guy to advertise my store out on the highway a block away, and it really works," Pellegrino said. "We're located on a private drive three buildings back, so all those people on that busy highway wouldn't know we're here otherwise. Our waddler sends me six new customers every week for $150. That's a great deal. Newspapers didn't work for me, and radio did a little better, but the waddler outperforms everything else I've tried."